BSc(Hons) Computing Degree offers at Tesside University is conducted in Sri Lanka by Londontec City Campus Sri Lanka. This degree is one year top up degree and you can completed this degree by entering the final year. 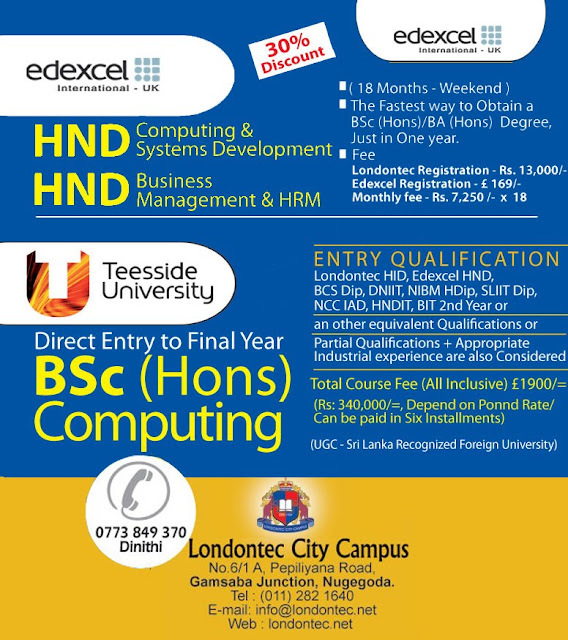 Following are some entry qualifications which you need to enter in to this BSc(Hons) Computing Degree offers at Tesside University.